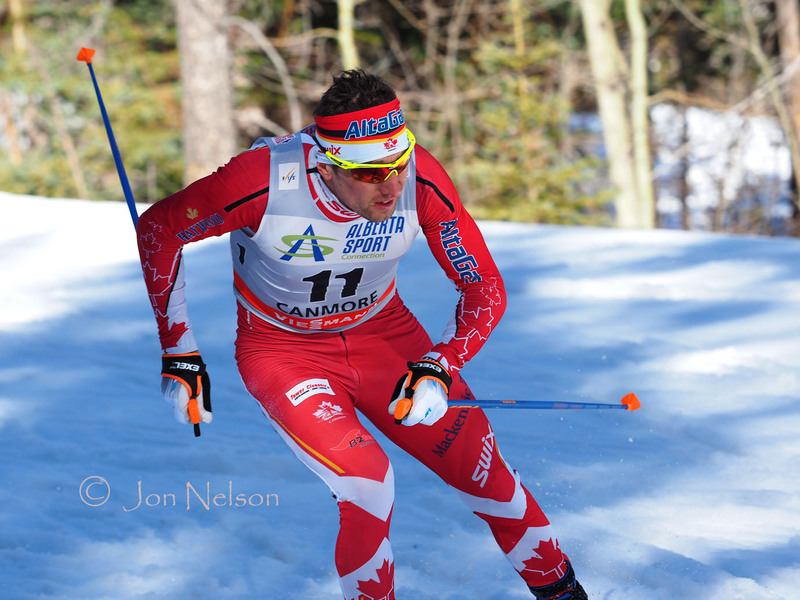 Alex Harvey finished 6th in the 15 km Skate race. 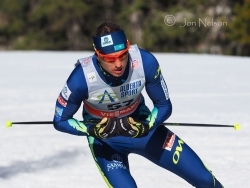 Alexey Poltoranin had a solid 15km Skate race and finished 16th. 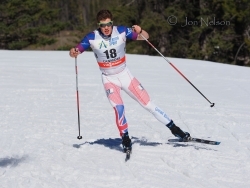 Baptiste Gros is primarily a sprinter but also competes in distance races. 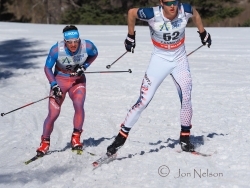 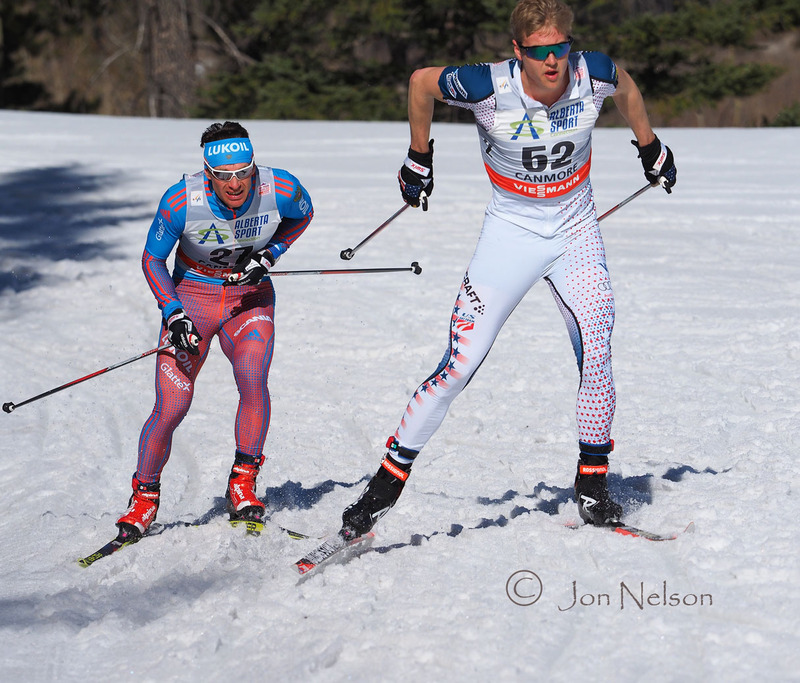 Eric Bjornsen leads a Russian skier through soft snow near the end of the race. 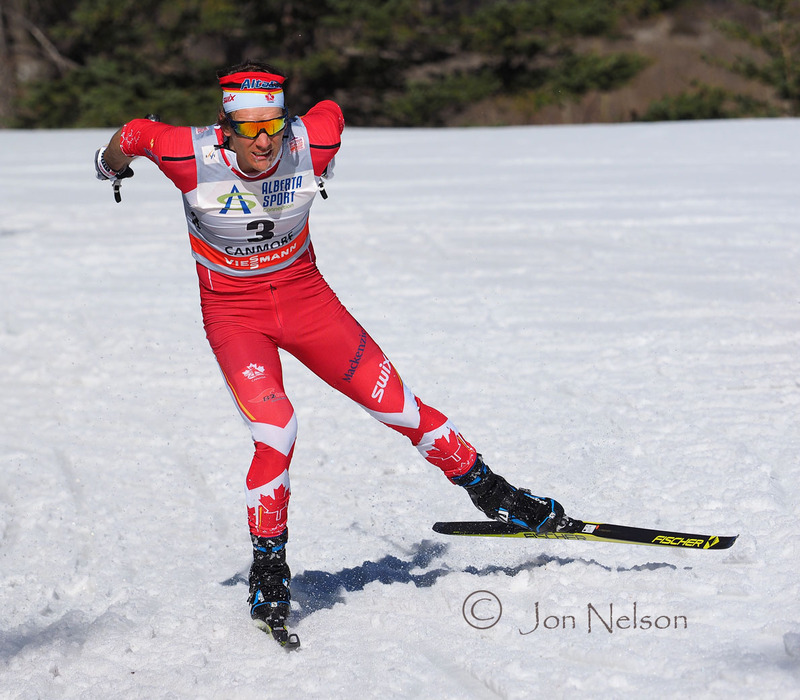 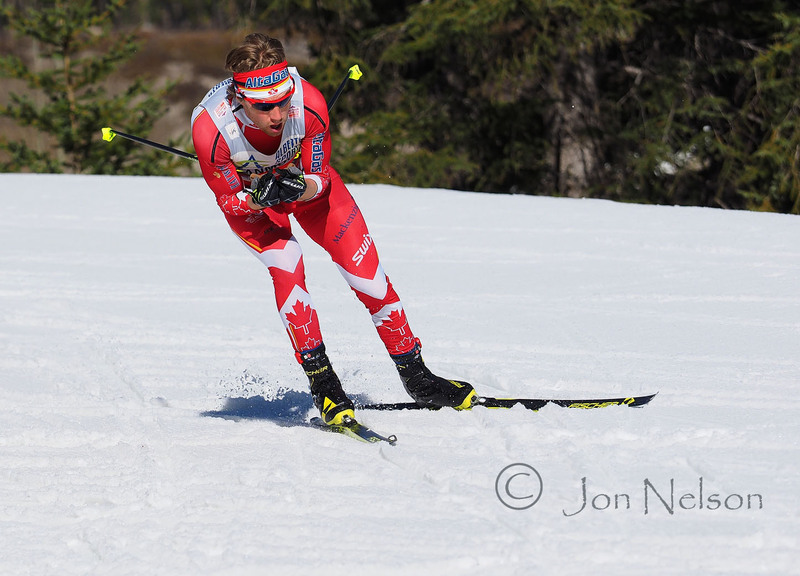 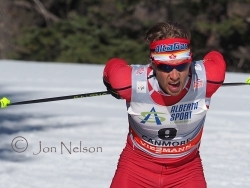 Graeme Killick was consistently one of Canada's better skiers in the Ski Tour Canada 2016 races. 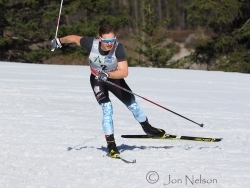 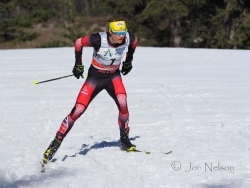 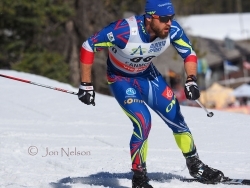 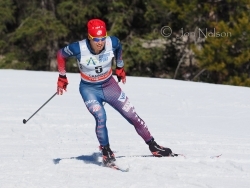 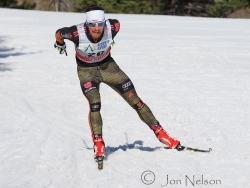 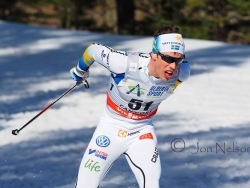 Ivan Babikov moved up in the overall standings of Ski Tour Canada 2016 with a 10th place finish in this race. 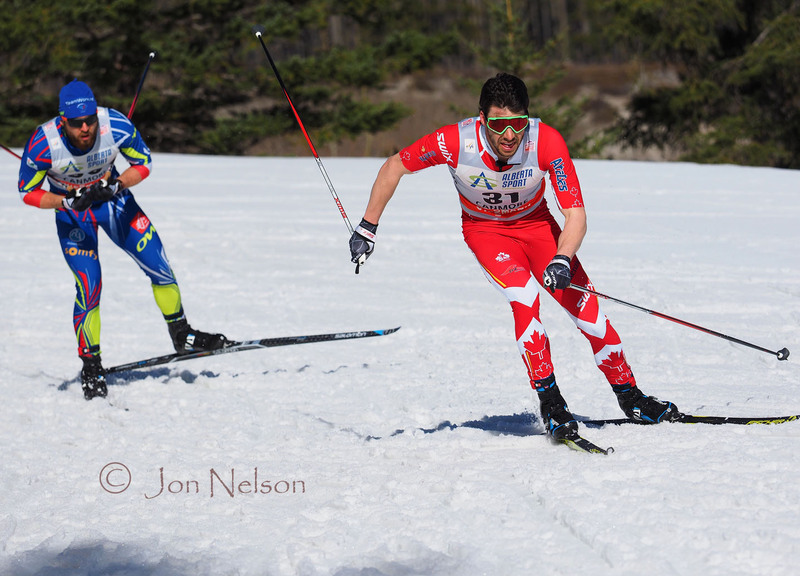 Jonas Dobler skates rapidly on the final lap of this 15km race. 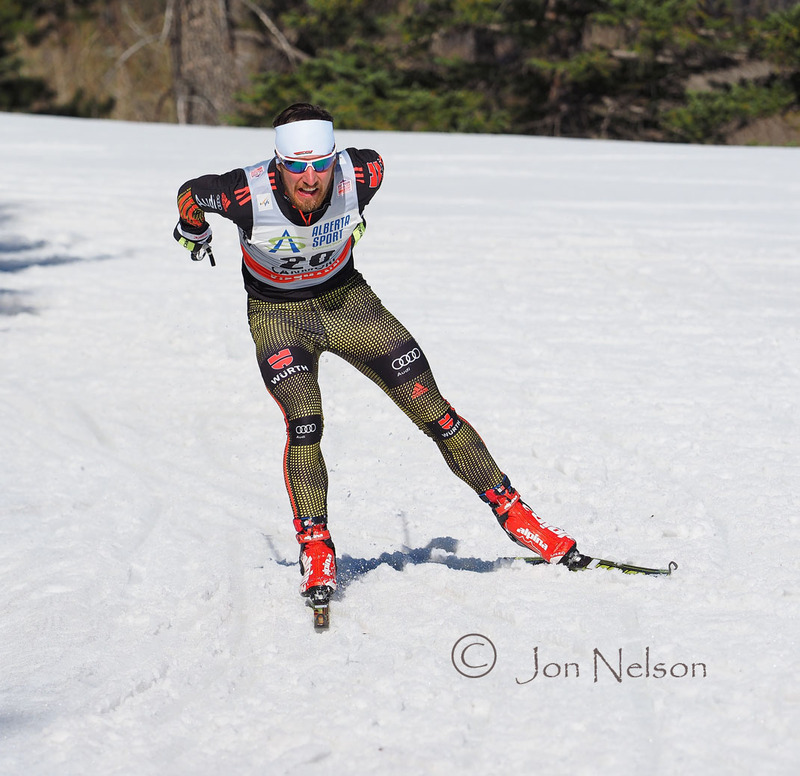 Kevin Sandau takes advantage of a slight downhill. 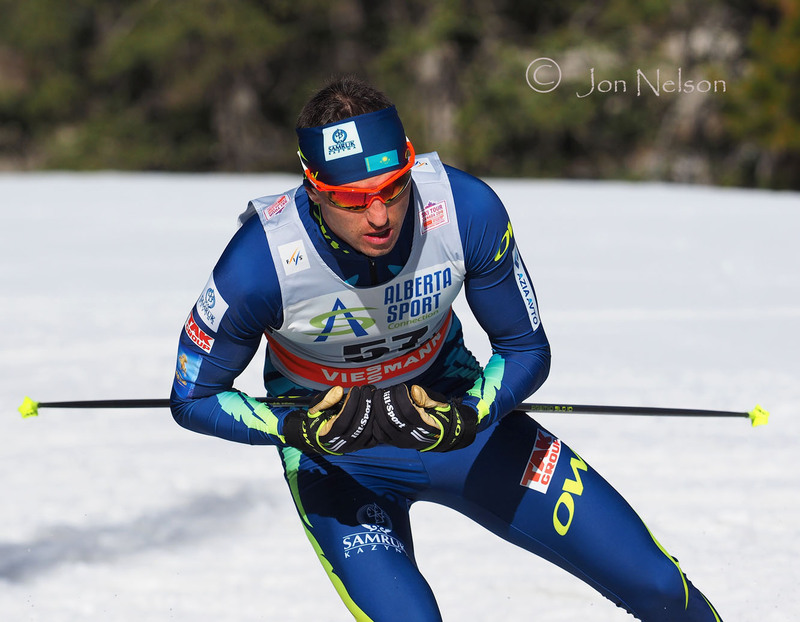 Marcus Hellner pushes toward the final downhill and finished third in this race. 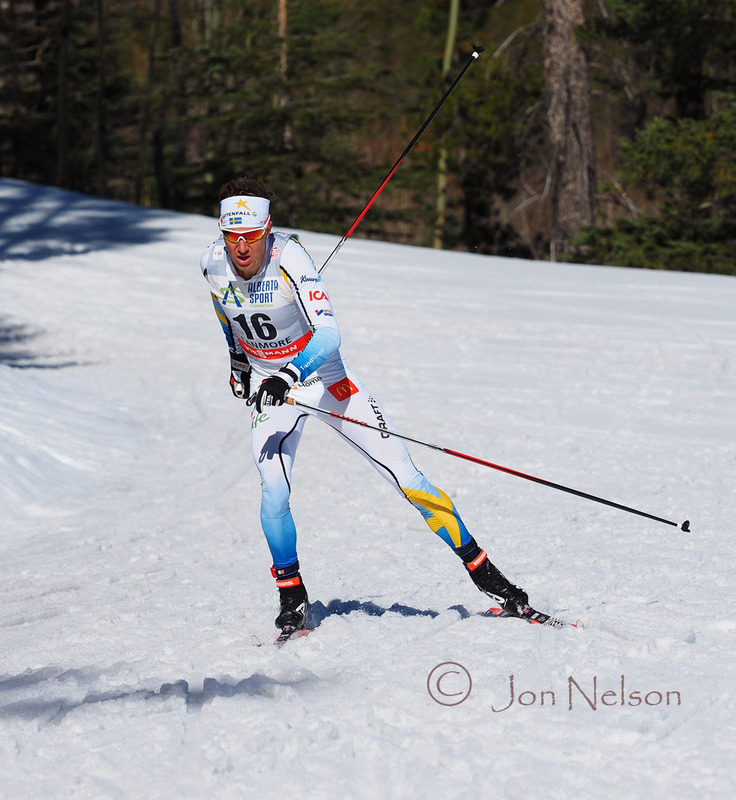 Martin Johansson cruises around a sweeping curve. 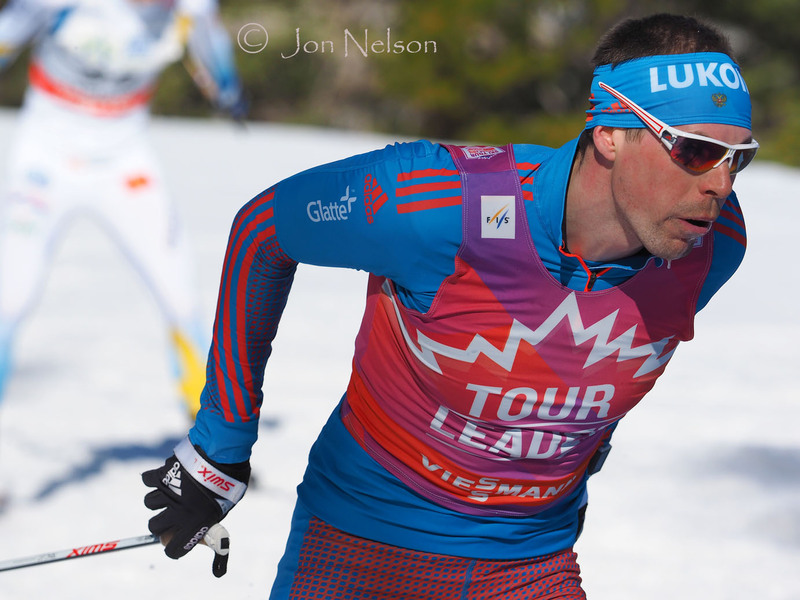 Scott Patterson glides through afternoon shadows at the Canview Nordic Centre. 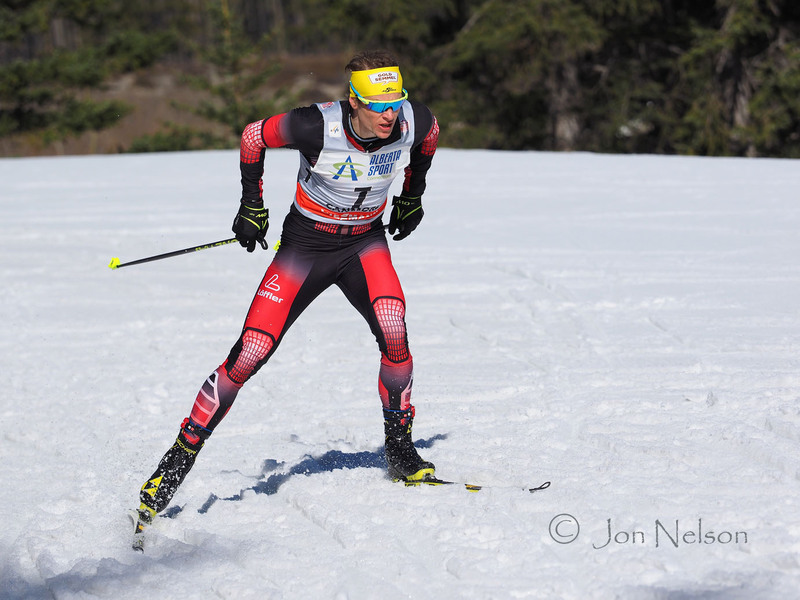 Sergey Ustiugov has been one of the best male skiers in the World Cup this year and led for most of the way in the Ski Tour Canada 2016 competitions. Bernhard Tritscher double poles his through a slow, sunny portion of the trail. 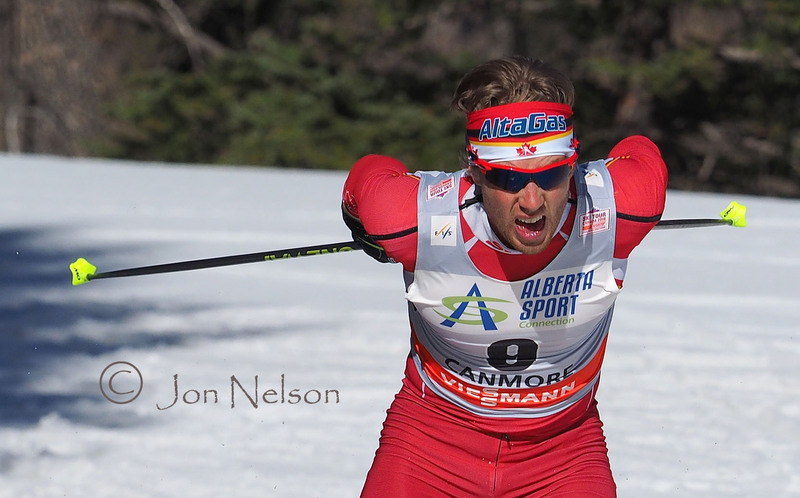 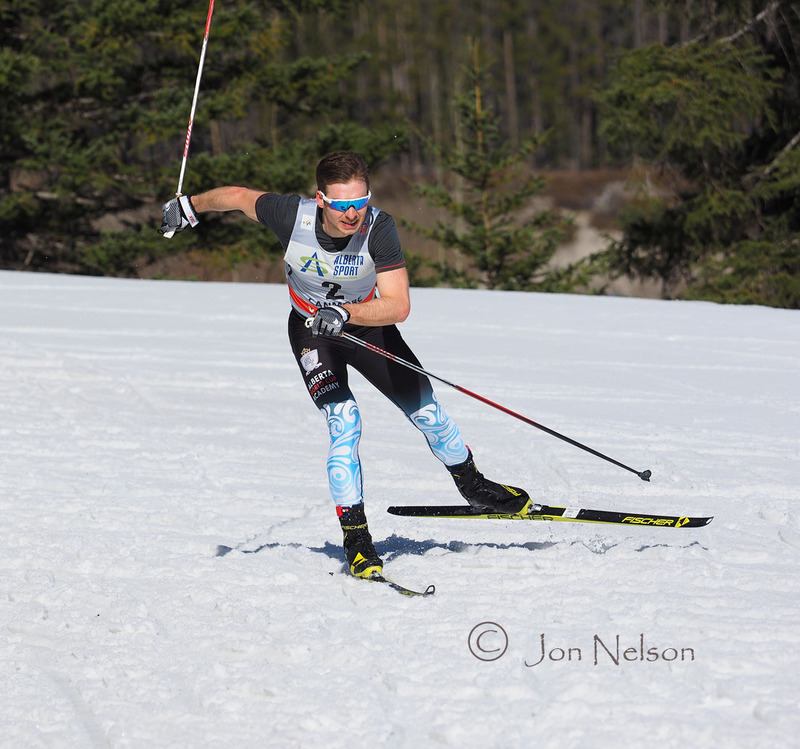 Graeme Killick maintains speed around a curve at the Canmore Nordic Centre. 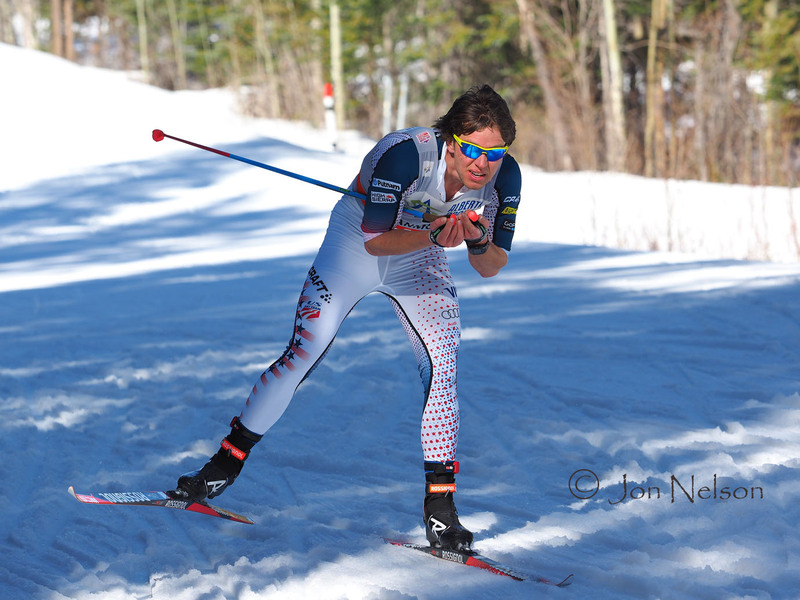 Noah Hoffman pushes through soft snow near the end of the race on a warm afternoon.